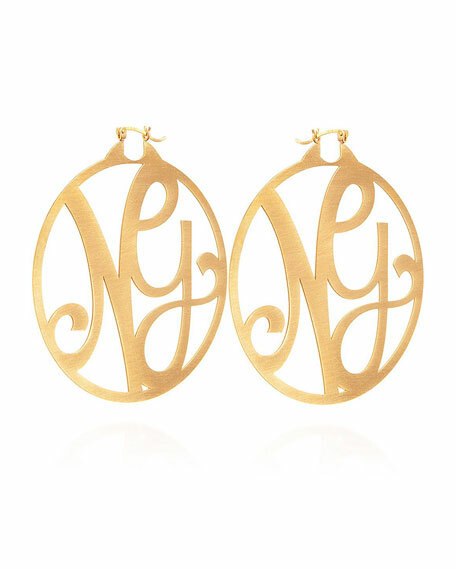 K Kane earrings feature the two initials of your choicefirst and last, first and middle, children's initials, be creative! All designs are original artworks created by designer Katherine Kane to reflect your specific letter combination. Fonts are custom drawn, not computer generated. 18-karat yellow gold vermeil quality goes above and beyond the industry standard thickness to create an especially strong gold plate. Signature matte finish provides for a soft, luxurious and modern look. Lightweight construction allows for comfortable daily wear.